If you're new to RSiD, please read through the information below before logging in to your account. This explains the basics to help you view your Inspection Reports. If you require further help or have any questions, please contact us for assistance. When you click the above link you'll be taken to the landing page of the RSiD website. This is not part of rsis.co.uk but we do control the domain and you can trust the page you are navigating to. 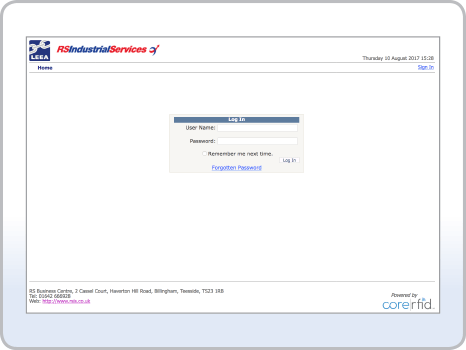 To login, enter your e-mail and password provided to you by RS Industrial Services. 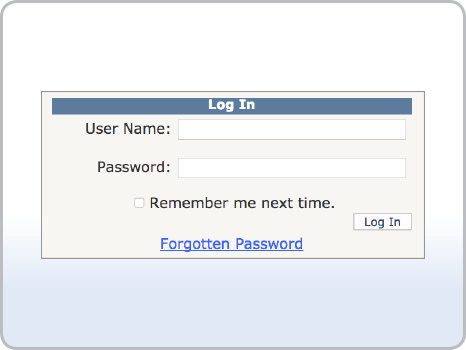 If you have not yet received your login details or are having trouble logging in, please contact us for assistance. Once logged in you'll find yourself on the home screen. 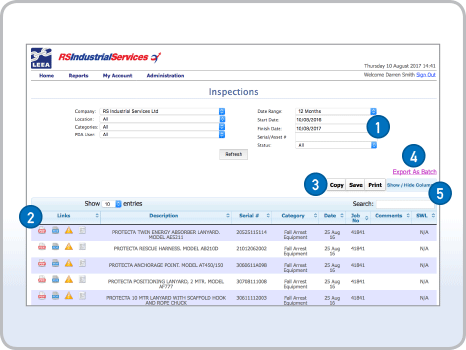 From here you can navigate to your inspection reports. 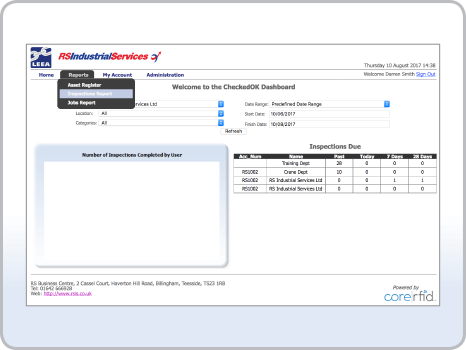 Click the Reports tab, then select Inspection Reports (between Asset Register and Job Reports). When first viewing your inspections, the date is set to show results for today's date only. This prevents the system from trying to load everything you've ever had inspected all in one go. Select the date range you'd like to view. 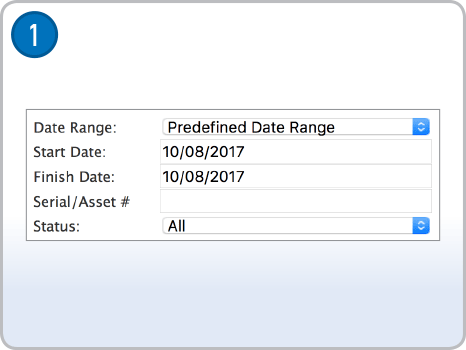 The predefined date range offers a quick way to select the last week(s), month(s) or year. Once you've selected your date range, you'll see links next to each inspection. 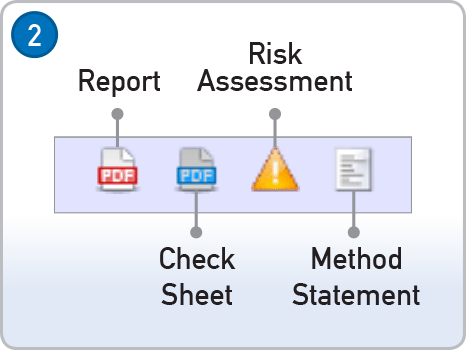 You can download and view any of these documents by clicking on the icons. 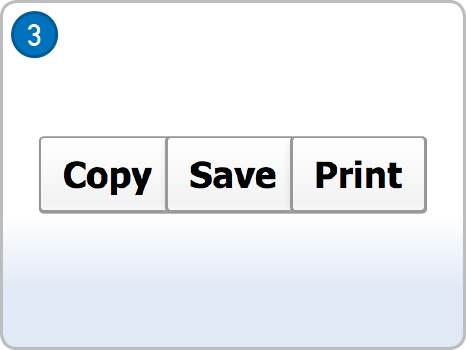 All these downloads are PDFs which are a common universal file supported by most computers, tablets and smart phones. This allows you to copy the information in the results and paste it into Excel. Alternatively you can save the information as a .CSV file or click Print to get the printer friendly version of the list. 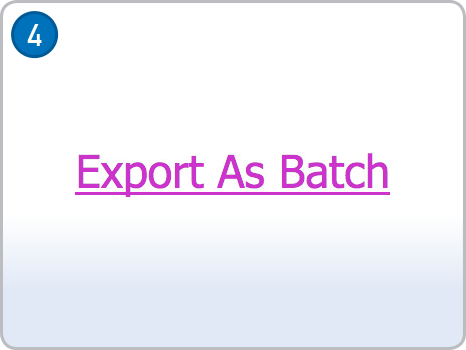 To download all reports and check sheets, click Export as batch. This will then ask you to enter an e-mail address to send a zip file to, containing all the files in PDF format (once unzipped). 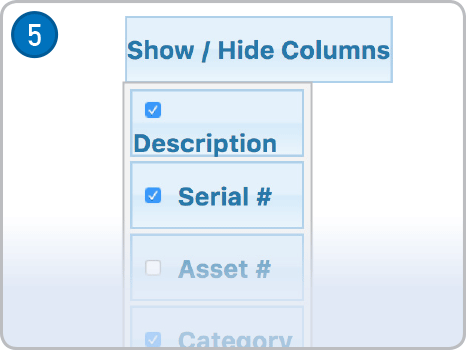 You can quickly add columns of relevance and hide the ones you don't need to make sure the information you are viewing is relevant to you. As we work with a wide range of companies, some require more information about each inspection than others.